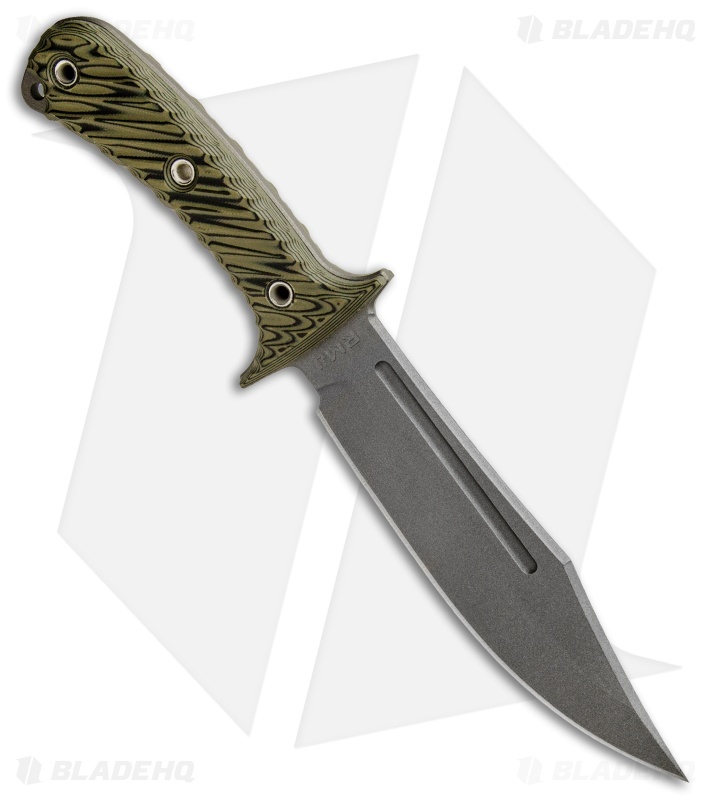 This Jungle Combat model is built with a dirty olive G-10 handle and a tungsten cerakote finished blade. The RMJ Tactical Jungle Combat is a high performance tactical fixed blade that pay's homage to the Vietnam era bowie knives. 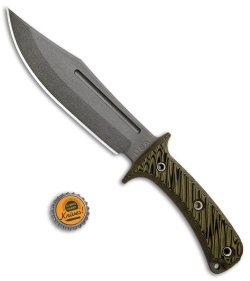 It has an oversized 3/16" thick Nitro-V blade that is built to withstand extreme jungle conditions. 3D textured G-10 scales provide a secure and effect grip in hand. Item includes a friction fit kydex sheath. Thick Nitro-V steel blade provides a solid platform for managing any tactical situation. 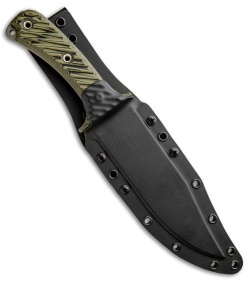 Precision 3D machine textured G-10 handle scales offer a secure, ergonomic grip. Item includes a fitted kydex sheath with low ride MOC straps for comfortable belt carry.